Co-founder of Wolfe & Wyman LLP, Sam's practice focuses on litigation and dispute resolution, with a particular expertise in insurance, construction and real estate matters. He has tried and arbitrated numerous high-profile cases to verdict before juries, judges and private arbitrators. The Alternative Dispute Resolution (ADR) process is of particular interest to Sam. In addition to mediating hundreds of claims as a litigant, he has earned a post-graduate certificate in mediation from Pepperdine University School of Law, the top post-graduate ADR program in the nation and has served as a mediator on over 50 matters on behalf of the Los Angeles County Superior Court. Sam received the coveted "AV" rating by Martindale-Hubbell, which is the highest rating available by this prestigious organization. Beginning in 2004, Sam was named a Southern California "Super Lawyer" by Law & Politics and Los Angeles Magazine, which recognizes the top 5% of attorneys in each state as chosen by their peers and through independent research. He has also been selected as a Fellow of the Litigation Counsel of America; an invitation-only trial lawyer honorary society consisting of less than one-half of one percent of American lawyers. In 2015, Sam was selected by the National Association of Distinguished Counsel for inclusion in their list of the “Nation’s Top One Percent.” In 2018, Sam was selected as one of Southern California’s “Top 100 Civil Defense Litigators” by America’s Top 100. Sam has served as adjunct professor at California State University, Long Beach in their expert witness certification program and has been a frequent lecturer to clients and industry groups, including Lorman Education Services, NBI, AAMGA, and the Association of Construction Defect Claims Managers. He is a member of the Claims and Litigation Management Alliance (“CLM”), the Professional Liability Underwriting Society (“PLUS”), the American Bar Association (Litigation and Construction Sections), the Orange County and Los Angeles County Bar Associations (Litigation Section), the Southern California Association of Defense Counsel, and the Defense Research Institute. Sam is on the Board of Directors of the Jewish Federation and Family Services of Orange County, where he is the founder and chairman of the Family Philanthropy Venture Fund. 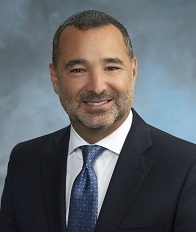 He serves on the Board of Directors of the Jewish Community Foundation of Orange County where he is Vice President, Philanthropic Development, and is the former Chairman of the Board of Directors at Tarbut V' Torah Community Day School. Sam enjoys spending time with his wife, two daughters and Golden-Doodle “Lola,” as well as skiing, tennis, food & wine and music.